No one thinks Donald Trump came into politics to utter the phrase “destination-based cash flow tax with border adjustment”. But this could happen if the US Congress approves a complex idea for corporate tax reform that has been on the margins of political debate for years. The border adjustment tax (or BAT), if implemented, could have huge ramifications, not just for the US economy and tax system, but for the global economy. Despite its complexity, it might appeal to President Trump and his trade team if they believe it would reduce the US trade deficit and “win back” jobs they deem to have been exported to foreign countries. Corporate taxation in the USA, it is agreed, is a mess. The US government taxes corporations 35% on their profits. This is one of the highest rates in the OECD. And in effect the tax system encourages imports and discourages exports. If a firm exports $1 of goods, other things being equal, that will increase its tax liability by raising its revenues and profits. But if it imports $1 of goods that reduces its tax liability, since it’s considered a deductible cost. For a country like the US which has a trade deficit of $500 billion, this matters. Furthermore, whether a firm actually pays tax depends on complex rules about the location of its headquarters and ownership of intellectual property. The actual level of tax firms pay also varies hugely since the tax code is riddled with special exemptions and incentives for sectors such as agriculture or manufacturing. The result of this system, critics argue, is that US firms have a strong incentive to locate their production overseas to avoid the relatively high tax rate, and to import. As firms have become increasingly multinational and mobile they have been able to structure their operations so that they declare their tax in whichever country charges them the least. The consequence has been plummeting revenues from this source of taxation, which inevitably increases the burden on other taxpayers (See Chart). The idea of a destination-based cash flow tax with border adjustment (the full name of the BAT) has been developed and popularised by University of Berkeley economist Alan Auerbach in a series of papers on the topic since 2010. But now, Donald Trump’s election with his emphasis on bringing back corporate jobs to America and in treating the trade deficit as a core policy target has brought this complex idea closer to becoming a reality. The proposal currently being discussed in Congress – sponsored by Kevin Brady and Paul Ryan – has three main elements: reducing the overall rate of taxation paid by corporates to 20% (from current 35%), basing that taxation on domestic cash-flow (rather than profits) and allowing firms to deduct from their tax liability the revenue generated from exports, but not their expenditure on imports. The intended effect is to improve the international competitiveness of US firms, and encourage them to export, rather than import. And because the US has a large trade deficit, taxing imports but not exports could raise as much as $120 billion for the US Treasury (0.6% of GDP). Trump is yet to declare his backing, but there are signs that he may be warming to the idea. Auerbach and Devereux explain the appeal of the change in an article in the New York Times. They argue that this reform would make the system simpler, fairer and encourage US firms to produce more within the US. One of the major sticking points is to do with the impact of the tax on the cost of imports. Because there would now be an effective tax of 20% on imports, if the value of the US dollar is unchanged, that would see a corresponding massive increase in the cost of goods imported into the US. (This is why some have likened it to a tariff.) That would spell disaster for many US retailers as well as causing a spike in inflation. However, Auerbach says this wouldn’t happen because of a corresponding appreciation in the dollar. In other words, the policy may be subject to a kind of double-bind. if the dollar goes up, the US consumer is protected from a rise in prices, but the tax will have no impact on the US trade balance. On the other hand, if the dollar doesn’t rise, the US consumer gets walloped by domestic inflation. An unhappy dilemma. On those “financial consequences” hinted at by Krugman, Scott Sumner, also of George Mason University, foresees some potentially messy consequences for emerging markets which have large dollar-denominated debts. These debts would suddenly increase in value following an appreciation of the dollar. However, Brad Setser, of the Council on Foreign Relations, thinks problems are not as serious as Sumner suggests, partly because emerging markets are in better financial shape now than they have been, and less reliant on dollar denominated debts. But he foresees a possibility that a dollar appreciation could trigger some disorderly capital outflows in China, potentially triggering a sudden depreciation of the yuan. 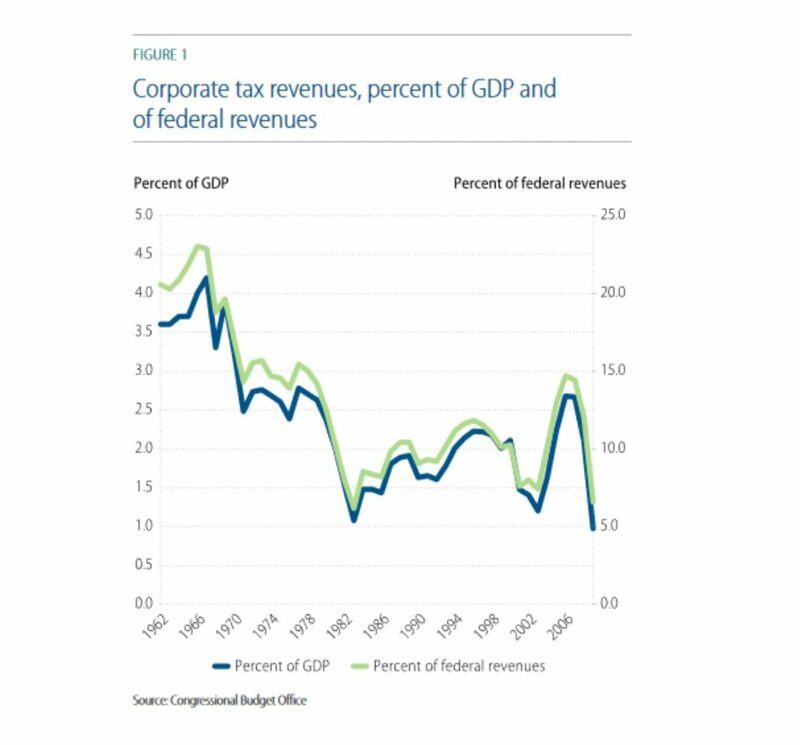 The US corporate tax system desperately needs reform – that much is beyond doubt. But the BAT is a curious creature: not VAT, not income tax, not a tariff, but somehow a blend of all three. That’s because it is trying to achieve three different things at once: improve the trade balance, restore the corporate tax base, and encourage firms to produce more in the US. It has undoubted merits. By taxing firms where they are selling, rather than where they are producing or making profits, it should help reduce the scope for multinational tax avoidance. A tax rate of 20%, closer to that of other major economies, would restore some lost competitiveness to US industry. But both these objectives could be achieved with a simpler, less radical reform that wouldn’t trigger a fight with the WTO. And any reform that relies for its efficacy on the vagaries of the currency markets doesn’t inspire confidence. Trump’s hesitancy in endorsing it seems warranted.